In conjuction with carrying the exclusive Forevermark Diamond from the DeBeers Corporation, Lab Grown Diamonds, and SVS Fine Jewelry's own speciality cut The Maverick 89 Diamond in store. Every year, SVS Fine Jewelry travels nearly 10,000 miles to hand select our diamonds in Antwerp, Belgium for our customers back on Long Island. We have the privilage to be members of three of the countries largest buying groups (IJO, CBG, and RJO) providing us immense buying power at over 1 billion dollars. With our connections overseas, we are able to cut out the middleman, and save money in the process. With this elite service, we extend these savings to our customers at not extra charge, and are able to get the best selection of diamonds in the world. Antwerp, Belgium is where 60-80% of the world's diamonds are cut and traded, and is known as the "Diamond Capital of the World." 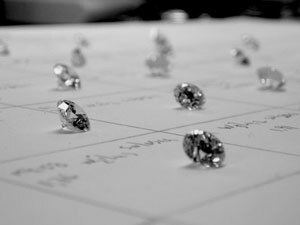 Whether you are looking for a diamond with reports from GIA, AGS, IGI, or EGL we have them in stock and all were hand picked directly from the source. We proudly comply to the Kimberley Process, which prevents conflict diamonds from entering the diamond trade, and by doing so, we are able to import conflict-free diamonds into the United States. No matter what shape or size you are looking for our diamond experts can help you find the perfect stone at any price. We even have time occasionally to stop for a famous Waffle or two! With our diamond inventory changing on the daily we choose not to put them all on our website. We feel buying a diamond is a huge inveestment in your future and should be done face to face. We kindly invite you to stop in to view your perfect diamond, afterall online pictures are great but nothing compares to the light and fire a brilliantly cut diamond breathes in person. Email ms@svsfinejewelry.com to set up an appointment to view our diamonds today!